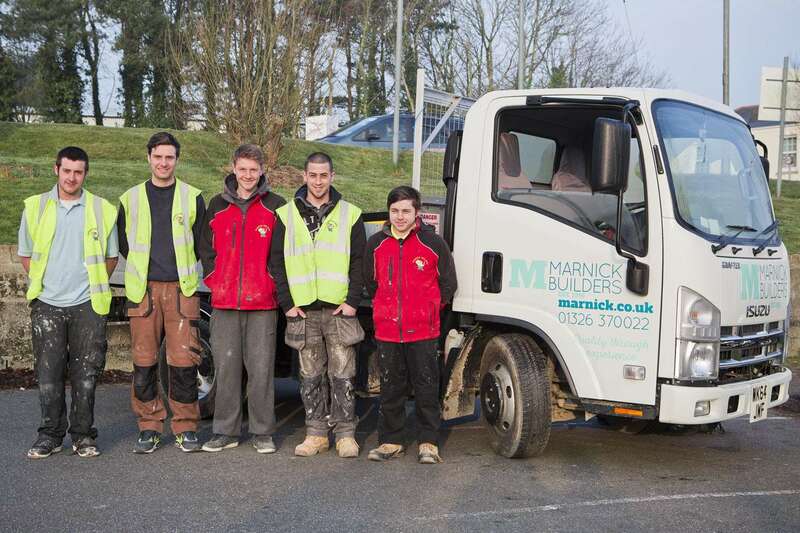 At Marnick Builders we recognise the importance of training enthusiastic individuals for a career in the building trade, giving them the opportunity to learn and develop new skills. Over the years we have steadily grown our apprenticeship scheme and we are always looking to improve and expand our training programs. We currently have a number of apprentices with us, all at different levels of their qualifications across the services we provide. The ongoing training and development is beneficial not only for our apprentices, but also the current tradesmen we have in the business. We work hard to maintain a team of dedicated master craftsmen with the experience to pass down traditional building methods and the knowledge to work with new and advanced materials, securing the future of our company. • An advanced carpenter taking on and managing small sites on his own. • A former apprentice becoming one of our site managers. • We also have an apprentice who has also taken a role in the operational side of the company. Applications open during July and August of each year. If you are interested in applying you will need to contact us directly to arrange a meeting and aptitude test. Our apprenticeship schemes are provided by Cornwall College in conjunction with CITB. More information can be found on the Cornwall College and CITB websites. We are happy to answer any questions regarding apprenticeships over the phone, via email or arrange to come in and see us.